The other day I discussed Starr International v US, and the lead up to an opinion earlier this month concerning the application of the US –Swiss income tax treaty. Before the court was able to resolve the matter on the merits, the district court addressed its jurisdiction to hear a challenge to the US Competent Authority’s decision to not grant discretionary relief under the treaty. While concluding that it could not order monetary relief, its prior opinion opened the door to Starr challenging the Competent Authority’s decision not to grant a lower withholding rate under the APA. The amount at issue was substantial. Starr was one of the largest shareholders in AIG. It received about $190 million in dividends. The US has treaties with many countries; those treaties generally provide exceptions or reduction to the default 30% withholding on some US sources of income, including dividends. The US Swiss treaty reduced withholding to either 5% or 15 %, depending on the Swiss entity’s ownership of the US corporation. A person that is not entitled to the benefits of this Convention pursuant to the provisions of the preceding paragraphs may, nevertheless, be granted the benefits of the Convention if the competent authority of the State in which the income arises so determines after consultation with the competent authority of the other Contracting State. In arguing that the Competent Authority decision was arbitrary and capricious, Starr essentially made two main points: the Competent Authority considered irrelevant information and failed to consider the relevant information. In finding that the Competent Authority did not consider irrelevant information, the opinion squarely addresses how much it should consider Starr’s prior moves. One of the main points Starr made was that its move to Switzerland was from Ireland, which had an automatic treaty reduction; in other words, it could not have had a principal purpose to get treaty benefits if it moved from a jurisdiction where it already was entitled to benefits. The government noted that Starr had moved previously, and wanted to consider the entity’s history of moving as to show that tax was often a if not the main reason for location. [Starr’s] argument, however, assumes a much narrower inquiry than is called for by the Technical Explanation, which directs the Competent Authority to determine “whether the establishment, acquisition, or maintenance” of a company in the relevant jurisdiction had a principal purpose of obtaining treaty benefits. Technical Explanation 72. Notably, the Explanation does not direct the Competent Authority to ask merely what made a company’s current jurisdiction more favorable than its previous one—although that might be part of the analysis—but rather why a company chose to “establish” or “maintain” itself where it did. In other words, here the question was not simply why Starr chose Switzerland over Ireland, but rather why Starr chose Switzerland over any other jurisdiction where it might have moved. This broader inquiry required not just a look at Starr’s recent move, but also its overall history of moves. On the merits, the opinion is a major victory for the government. Yet it is an important procedural victory for taxpayers. It is another defeat of the reflexive government argument that some of its decisions are completely insulated from court review. It also is a roadmap for showing how parties can use the APA to challenge the somewhat murky world of Competent Authority decisions under treaties. The United States has treaty language that allows us to work with the taxing authorities in other countries to collect U.S. taxes owed from U.S. Citizens or their property located in those countries and to allow those countries to have IRS collect from their citizens or property located in the U.S. (For an example of the treaty language used to effectuate bilateral assistance and support in collecting tax, see U.S.-France Income Tax Treaty, Article 28). In the countries where this treaty language exists, U.S. collection officials initiate the contact with the treaty partners though the competent authority to request that the collection officials in the treaty country take action to collect the unpaid taxes from the assets available in their country. Currently, the U.S. has this treaty language allowing collection with only five countries – Canada, France, Holland, Denmark and Sweden. The treaties containing this language were written long ago and the U.S. has not sought to insert this language into treaties in the recent past (For a brief discussion of the history of this treaty language, see Brenda Mallinak, , 16 Duke J. Comp. & Int’l L. 79, 94 (2006)). As I was writing this post, I received a Treasury Inspector General for Tax Administration (TIGTA) report, Reference Number: 2014-30-054 dated September 12, 2014. I want to talk about that report and how I think it highlights the problems in international collection while missing the mark because it fails to address the gaping hole in our treaty language as a major source of improving international collection. The TIGTA report looks at the international collection efforts of the IRS and finds them lacking. I agree with the conclusion but find that blaming the IRS collectors badly misplaces the blame for the failures in this area. Congress makes a lot of noise about offshore issues and has implemented some reasonably good legislation to seek to improve matters on the liability side while doing almost nothing to assist IRS collectors in their efforts to put money into our coffers that has moved overseas. Similarly, Treasury makes a lot of noise about offshore liability issues but has not aided the problem because it has not moved to put collection language into treaties leaving IRS collectors with meager remedies to seek to collect from persons keeping themselves and their assets offshore. The TIGTA report does not to address the structural problems with the offshore collection system. Without structural changes the IRS collectors will continue to experience frustration and obtain victories on the margins while losing the battle to those parking themselves and their assets out of the reach of the IRS given the current legal situation. As the world has gotten smaller and as the movement of people and assets offshore has become routine, the IRS finds itself in a situation not unlike creditors seeking to collect when the Articles of Confederation rather than the Constitution existed. One of the big reasons for ditching the Articles and moving to the Constitution stemmed from the inability of creditors to collect from persons moving from one state to another. We now face that situation on a more global level. We have recognized it over the past fifteen years in the area of finding the money parked offshore in tax havens but we have not yet addressed it in the collection area. The TIGTA report spends most of its energy talking about failures of vision and implementation in the IRS collection division with respect to its international collection efforts. I will return to that but want to point out that despite the failures discussed in the report, the 40 or 41 International Revenue Officers collected over $53 million in both fiscal years. Without knowledge of how the amounts reported were calculated, this seems like a great return on investment for the very small number of people working these cases and a much higher return than normal for dollars invested with the IRS. Without more context, however, it is impossible to know if this $53 million collected in the past two years is a significant, or I suspect, insignificant amount of the total dollars that might have been collected from citizens and assets parked offshore. TIGTA criticizes the IRS for a lack of management oversight, the lack of a legitimate strategy and poor procedures and policies for the revenue officers attempting to collect. While these criticisms undoubtedly have some merit, TIGTA offers little guidance on how the revenue officers might better perform the task of collecting where the money and the taxpayer sit offshore. Better policies and better training can only do so much when the structure of the system stymies the IRS collection efforts at every turn. In domestic collection the IRS can file the notice of federal tax lien against the delinquent taxpayer and cripple the person’s credit rating. It can levy on assets it identifies and obtain property without having to work through a court or through another agency. Those types of collection efficiencies do not exist for the international collection efforts and may never exist but if international collection has a chance of becoming more efficient, it needs a structure that keeps people from avoiding collection simply by moving themselves and their assets offshore. If the Government has serious intentions of collecting delinquent taxes from persons moving themselves and their money around the globe, it needs to look to multilateral efforts to solve the problem and not try to go it alone squeezing marginal gains out of an understaffed group of revenue officers. International revenue officers can request that a Customs Hold be input into the Treasury Enforcement Communication System (TECS) for delinquent taxpayers. Once the taxpayer is on the TECS, the U.S. Department of Homeland Security (DHS) notifies the IRS whenever the taxpayer travels into the United States. The TECS is a database maintained by the DHS and is used extensively by the law enforcement community. Taxpayers are informed with a Letter 4106, Letter Advising Taxpayer of Department of Homeland Security Notification, that an international revenue officer has taken action to advise the DHS that the taxpayer has outstanding tax liabilities and that this may result in an interview by a Customs and Border Protection Officer if the taxpayer attempts to enter the United States. There is a Memorandum of Understanding [create link to memo] between the IRS and the DHS that allows Customs and Border Protection Officers to stop delinquent taxpayers identified on the TECS to collect their contact information of where they will be staying while in the United States. According to the TECS Coordinator, the international revenue officer must submit a completed Form 6668, TECS Entry Request, to have a Customs Hold placed on a taxpayer. The form is sent to the group manager for a signature and e-mailed to the TECS Coordinator. The TECS Coordinator maintains a spreadsheet to document taxpayer added to or deleted from the TECS. According to the Spreadsheet there are approximately 1,700 taxpayers on the TECS with approximately $1.6 billion in delinquent tax assessments. This includes assessments of approximately $1.1 billion solely owed by international taxpayers. In an earlier post I wrote about the writ ne exeat. This is a labor intensive option available to the IRS to seek to stop a taxpayer from leaving the country with their money. The taxpayer discussed in that case was stopped at the border undoubtedly because of a “Customs Hold” as he sought to return to the United States while taxes remained unpaid. That example demonstrates part of the power of the “Customs Hold” but does not tell the whole story. Just because someone gets stopped as they seek to reenter the U.S. and sent to a little room off in the corner of an airport does not mean that they will pay the tax or that they will be held in the little room for a long period of time. Holding individuals as they seek to return to the U.S. no doubt raises revenue but it only works if the individual seeks to return and only when the hold itself proves effective as a means for convincing them to pay. It is time to expand the list of countries with whom we have collection treaties, to make it a regular part of our bilateral treaties or to begin an effort to make cross border collection of taxes a part of a multilateral effort. The international revenue officers have only labor intensive tools that rely on the taxpayer living in one of five countries or returning to the U.S. Their arsenal of weapons no longer matches the ability of individuals to move themselves and their money. The TIGTA report may have found problems in the operation of the current program but misses the overall problem. If we want to collect globally we need to ban together with other countries the way we have done with FATCA. Trying to catch these individuals one by one as they return to the country does not solve the problem. The Service has issued a notice of proposed rulemaking to provide regulations that it hopes will curb inversions. 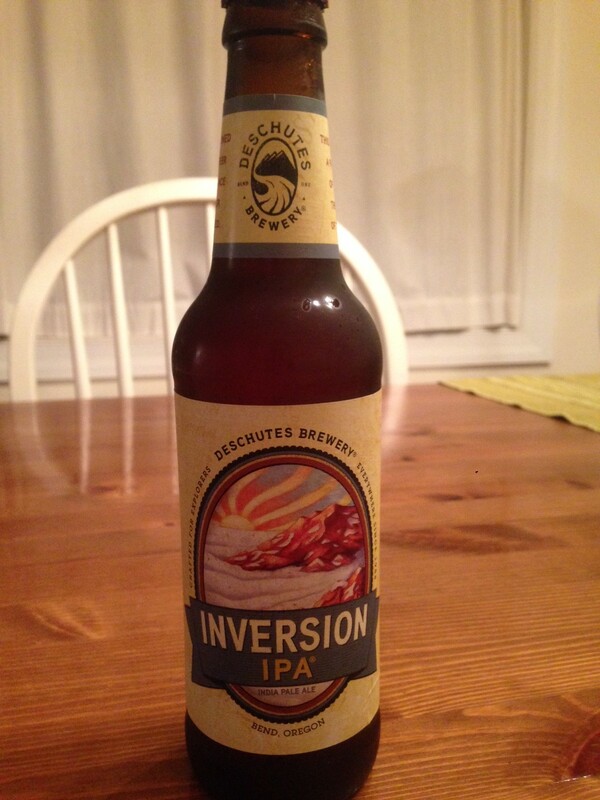 Most folks seem to be against inversions. I had an inversion over the weekend, and it wasn’t that bad. Not the most flavorful IPA, but definitely drinkable. Frank Agostino’s firm’s October newsletter is out, and can be found here. Both are articles are good, but I particularly liked the article on the use of media (traditional and new) in the area of tax controversy. Most of my clients don’t want anyone to know they have an issue with the Service (even the ones who are not guilty), but for some clients a media strategy is a necessity. In Topsnik v. Comm’r, the Tax Court held that a foreign individual was a lawful permanent resident (LPR), and subject to tax on his worldwide income, even though he had sold his US residence, and only made infrequent visits to the United States during the year in question. The taxpayer could not “informally” abandon his status as a LPR, and instead had to follow the appropriate procedures. Here is an additional post on this case from the “Private Equity, VC, and Hedge Fund Taxation” Blog, which I was not familiar with. The post points out how this case highlights what the Court will look at in these residency cases, and shows how the IRS will obtain information about a taxpayer from a treaty country. Mr. Topsnik’s tax controversies have graced our pages before, with a Ninth Circuit opinion discussed in a February SumOp found here, discussing appropriate venue for a foreign individual’s refund claim. The Bankruptcy Court for the Middle District of North Carolina had an interesting ruling in In Re: Decoro USA, LTD (couldn’t find for free yet). The Court sustained the taxpayer’s objections that additional tax allocated to it in a Section 482 adjustment were inappropriate because the transfer pricing analysis by the Service was unreasonable. Section 482 allows the Service to reallocate tax items between related entities doing business together. Here, the Service took the position that the taxpayer acted as a distributor for its parent in selling leather furniture, and then increased the taxpayer’s income to be more in line with a distributor. The taxpayer argued it was more of a “facilitator” to distributors, and its income was in line with similar businesses that did the same. The Court looked a variety of factors and found that the taxpayer’s interpretation of its business was more accurate, resulting in the IRS allocation losing the presumption of correctness. Announcement 2014-14 issued by the Service this week reports on the status of the advanced pricing agreement programs. Highlights include increased efficiency and a greater use of the program. Part 1 of the report has a comprehensive summary of the programs, part 2 has the 2013 statistics, and part 3 discusses the types of items resolved by APAs. Interestingly, more than 50% of the APAs executed were with Japan. More stats, the Service has also issued its 2013 IRS Data Book, which generated headlines about the rich not getting audited as much (apparently, the Service didn’t care for the GAO report last year arguing the Service should audit the wealthy more often). Table 9b shows that less than 1% of individuals were audited. Those making over $10MM a year get a hard look the most, followed by those making over $5M. Individuals making over $1MM, but less than $5M are audited at a 9% rate. The next highest group to be audited are those making no money, with 6% audited. Estate administration lawyers in California apparently don’t understand the filing deadline for estate tax returns. In American Contractors Indemnity Company v. United States, the District for Northern CA denied the Service’s motion for summary judgment in a case where an administrator of an estate was claiming reliance on an attorney as reasonable cause for penalties for failure to file and failure to pay estate tax. The named party in this case is the surety company that ended up stepping into the shoes of the administrator. The Court found there was a genuine dispute as to whether the administrator relied on the attorney to file or relied on erroneous advice on filing or when to file. In coming to the conclusion and looking at the distinction, the Court reviewed Boyle, Baccei, and Knappe (the last two are also Cali or West Coast cases of executors failing to file), which we covered before in great detail here and here. PWC is real ticked it did not think of this marketing campaign before. The robots are taking over the world, or at least the tax preparation profession. 1.3% fewer folks used humans to help with their taxes. Joe Kristan on his Roth & Co. blog has a good write up of the Frank Aragona Trust case decided by the Tax Court this week, which allowed a trustee to “materially participate” in rental activities. This used to be only a huge deal for passive activity gains and losses, but the Obamacare 3.8% net investment income tax follows the same rules. The trust “materially participating” allows the net income to be exempt from tax. There is a lot of interest in this right now. I have two clients going through this analysis for trusts, and a call with an accountant on a third this afternoon. If you have clients with trusts that hold majority interests in closely held companies, this is probably worth a look. Happy Holidays! Sorry for the delay in posting, hectic weekend, but what a great weekend. Thanksgiving, the start of Hanukkah, Keith had his first grandson, and it seemed like every third car had a Christmas tree tied to the top. Although it was a short week, there was still some excellent procedure news. Let’s start with a few Thanksgiving related items. I found this estimate of the amount of taxes paid on the average Thanksgiving dinner on Accounting Today. The Tax Foundation has a summary of travel taxes and tolls (road taxes) for travel along the northeast found here. I’m not sure how accurate either are, but interesting posts about Thanksgiving and taxes. Jack Townsend’s Tax Procedure Blog has a summary of Eichelburg v. Comm’r, where the taxpayer’s claim was tossed for failing to timely file under the timely mailing is timely filing rule in Section 7502. His sin—thriftiness (and not following the rules). He went for the FedEx Express Saver, which is not an enumerated acceptable private delivery service under Notice 2004-83. From the Freakanomics blog, a podcast regarding fighting poverty. This post has to do with charity, but I think the concepts apply to the reallocation of assets (EITC) under the Code and the incentives that could raise a family up the socioeconomic ladder (student loan interest deduction, mortgage interest deduction). Oversimplifying the post, cash infusions are great at doing certain things like eliminating a current need, but not very good at assisting a family in moving out of poverty. Although this is not a stunning revelation, the stories and examples are very interesting, and made me wonder if we had good evidence behind a lot of the incentives and deterrents under the code. More behavioral economics. Perhaps we should change this to a behavioral economics blog. MauledAgain has a discussion of the Tax Court’s holding in Jibril v. Comm’r, where the Court disallowed dependency exemptions for a taxpayer’s cousins. The Court held that cousins did not fall within “qualifying children” under Section 152(c)(2) or “qualifying relatives” under Section 152(d)(2). Although this is not a novel holding, the last paragraph of Jim Maule’s post highlights the Court’s comments regarding the “sympathetic” taxpayer, and outlines some suggestions from Professor Maule on how to eliminate the harsh application of the statue when family members are supporting family members not specifically outlined in the statute. Messrs. Lipton, Richardson, and Jenner, attorneys at Baker & McKenzie, have written an article published at 119 Journal of Taxation 267 (December 2013), about the Tax Court holding in Barnes Group, Inc. v. Comm’r, concluding that the Tax Court wrongly applied the step transaction doctrine and discussing the imposition of penalties even though the taxpayer had a “substantial authority” opinion from PWC. The Baker attorneys disagree with the collapsing of the transaction under step-transaction, arguing that the transaction was very similar to a Rev. Rul. previously issued, and the differences were minor technicalities. What caught my eye was the discussion regarding the imposition of penalties even though PWC had issued a substantial authority opinion. Initially, I thought this was going to be more like the Canal Corp case, where the Court found the messy, aggressive opinion by PWC was not reasonable to rely upon. However, upon reviewing Barnes, the holding regarding the penalty was that Barnes failed to follow PWC’s advice when it did not comply with the “mere technicalities”, and waived its right to rely on PWC’s opinion. The Baker attorneys felt reasonable cause should be available, since the taxpayer relied on a competent advisor and that this opinion created substantial issues regarding advisor reliance. I, personally, thought the step-transaction doctrine was the key, and the case did not tread any new ground on advisor reliance. The Tax Court, in Meyer v. Comm’r, remanded a case back to Appeals for review after the SO failed to properly verify that statutory notice had been issued after the IRS issued a substitute for return. The case has a good discussion of the IRS procedures in this area, including how an SFR relates to a stat notice and how Appeals is supposed to verify that the IRS issued a stat notice when the taxpayer claims to have not received it. In light of Appeals not having adequately verified the stat notice’s issuance, there was also a discussion regarding whether the Court should remand or simply hold for the taxpayer. In this case, the Tax Court remanded, though it suggested that in the future, it may toss not remand and find for the taxpayer, and invalidate the assessment. If time permits, we may have more on this case later in the week or next week. Chief Counsel has issued advice, found here, regarding whether the Service must apply restitution payments required because of corporate income tax to the income tax, or whether it may be applied to other unpaid liabilities. Counsel determined that the Service can apply the payments as involuntary payments, in the Service’s best interests. Counsel relied on US v. Pepperman, out of the Third Circuit, which held that involuntary payments are defined as “any payment received by…the United States as a result of distrait or levy or from a legal proceeding in which the Government is seeking to collect its delinquent taxes or file a claim therefor.” Counsel determined that restitution only comes from court orders or settlements, and therefore was an involuntary payment. I would be surprised if there was not some argument to the contrary. This notice relates to restitution that arose prior to the effective date of Section 6201(a)(4), which allows IRS to assess certain orders of restitution. Either way, practitioners should be cognizant of this issue. Saltzman and Book Chapter 10 (revised and coming out next month) has a thorough discussion on the new restitution provisions, and I suspect a post on this coming up soon. Last week we touched on Notices 2013-78 and 2013-79, which contained draft procedures for seeking competent authority assistance and advance pricing agreements. KPMG provides a small summary of some of the changes in the new notices. I will either try to provide more information regarding these notices in the coming days and weeks, or find other good summaries, as the changes are substantial and important.